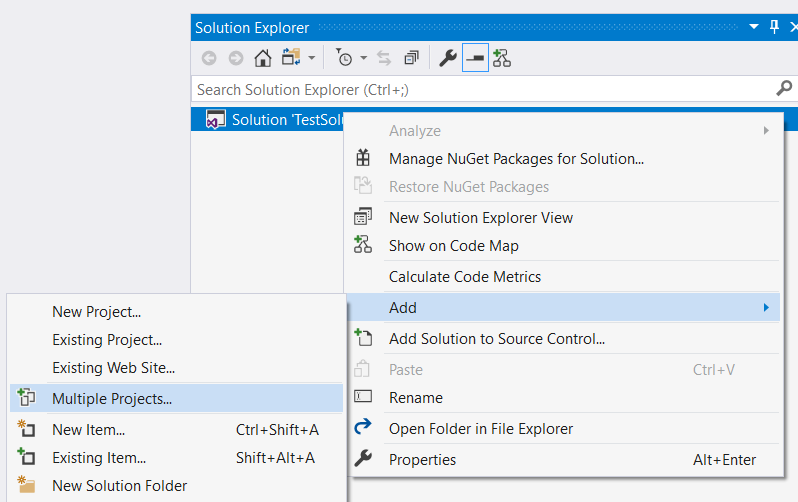 Visual Studio extension that allows adding multiple existing projects into the solution. 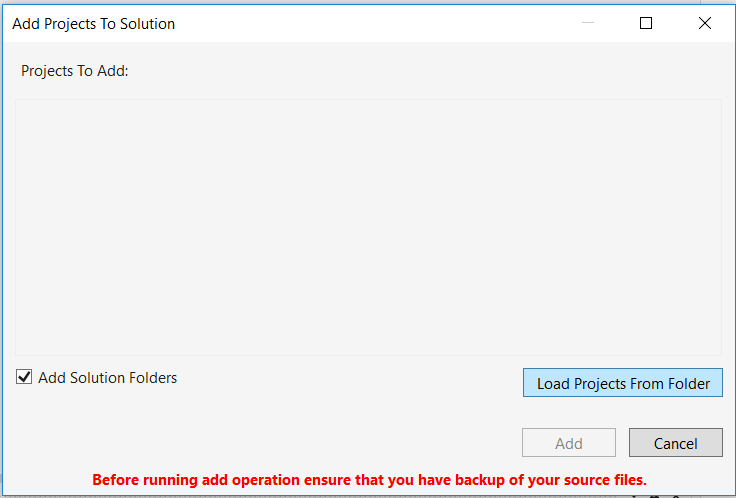 Optionally creates the solution folder structure reflecting to the physical hierarchy on disk. Add mutliple projects to solution. 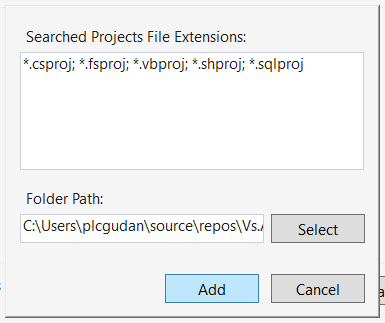 Load projects from given directory (recursive search by file extension). Select which projects to add to the solution. 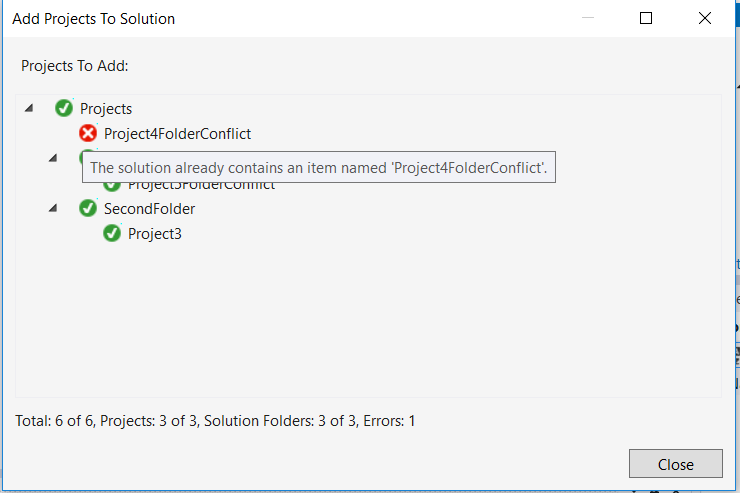 Define if solution folders hierarchy should be also created. 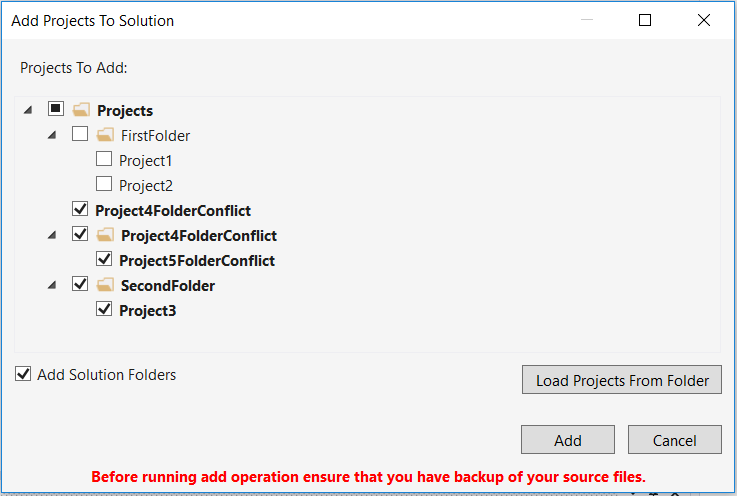 Found project will be displayed in the folder hierarchy in which they are defined on disk. Select projects that you want to add to the solution. 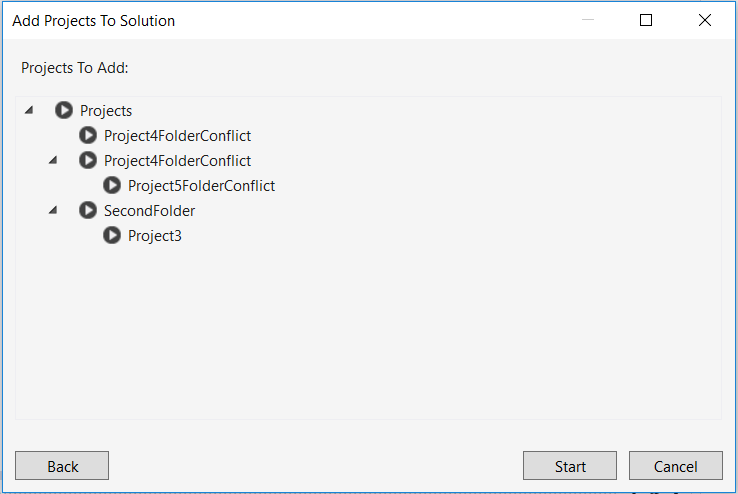 Define if solution folders should be created. Review the structure of projects that will be created and press Start. The state of the operation is indicated by the icon next to the project. When you will hover with mause over the icon the details will be displayed. On the bottom of the window total number of errors and processed projects is displayed. 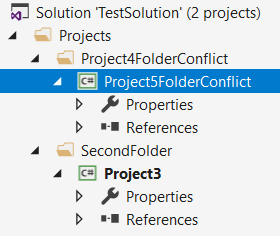 If you want to add projects without solution folders check configuration in step 4.